July and August and the holidays are upon us. Bliss. The promise of sunshine, of dolce far niente and, for those who are lucky enough to actually ‘go’ on a holiday, of escape. Assigning the right person to water the plants or tend to the garden, planning the itinerary, checking the news for strikes, delays and weather predictions. And packing. 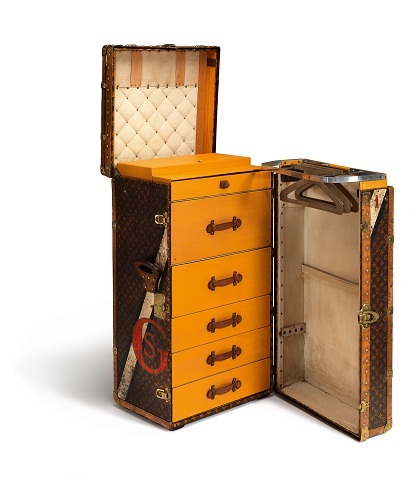 How grand it must have been, chests and steamer trunks, hat boxes, leather travel bags with brass handles, often sent ahead, already unpacked upon one’s arrival. Wardrobes on wheels. For no matter how light and organized our modern luggage sets are, they are never really BIG enough. The old elephant, chers malletiers, should have, after all, fitted inside the suitcase. There are packing tactics. Gather, roll, fold, line, drape. The army way, the stylist’s way. Video’s and tutorials, (one of which has the audacity to suggest to bring only one pair of shoes). Perfect packing, we are told is based on making the right choices, aka discarding and dispensing. Packing involves checklists, not impulse. Leave all that can be spared behind. We travel light. Let’s hunt some orc. Packed and ready, plane and train and car. It is journey time. Some avoiding the hairy legs of fellow plane travellers wearing shorts, their tired, crying children kicking the back of your chair. Some wondering where on the train the luggage fits. Others enjoying the sense of anticipation on the rest and service areas along the highways, autoroutes and Autobahns. Pensioner coaches, Dutch caravans, Swiss sports cars, the speed and efficiency of ‘Das Auto’. Queues at the toilets, now clinically automatized, still overpriced sandwiches, the lure of chocolate bars and Cornetto’s. Overall the coffee has improved. Head South, pale complexions and excitement. Head North, tanned skin and apprehension. The roadside microcosm. And then, the reward. Finding the keys of the rental in the letterbox, the warm smile of the hotel receptionist, easy access to a landscaped pitch at the camping site. The first dip in the ocean, sand between the toes, a round of pétanque, a book, a nap, the exhaustion, being away from the office. Walks and hikes, visits to the local market. Why can’t life be like this all the time, we ask ourselves and we watch the weather report and smile at the dropping temperatures back home. Holiday is a tradition. But traditions change. Gone is the search for the public phone, coins at hand, “We arrived safely”. Gone too the buying of the post cards, sitting down on the piazza, dutifully writing a summery message to aunt so and so, getting all family members to, reluctantly, sign. We lick stamps no more. Instead we buy a pre-paid phone card, we log in, we text and post and post and post. But the good times remain. Sea, sun, and yes, the other. Rosé, Pastis and the new drink du jour, Aperol Spritz. When we come back, we will count the spoonfuls of sugar, the units of alcohol. We will fast and go for a gut profiling session. We might even hit the gym again. Have a good one. All of you. 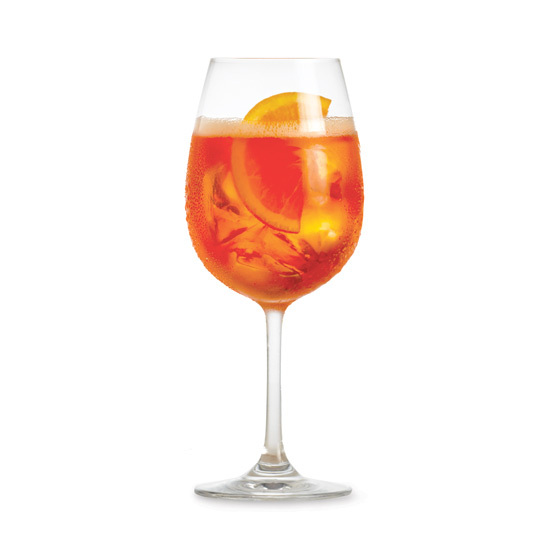 Posted on 29 July 2015 29 July 2015 by MrsCalvo	This entry was posted in Popular Culture and Entertainment and tagged Aperol Spritz, Holidays, Packing. Bookmark the permalink.